First time I’ve encountered this issue in my environment after a DRS initiated vMotion of a VM. I’ve noticed that the VM’s network card is disconnected and whenever I tried to connect it, the Invalid Configuration for device ‘0’ error pops up. From the looks of it, vMotion had a bandwidth issue but it did migrate successfully after another attempt. This exact issue is documented in KB 2014469 and although vSphere 5.5 is not in the product list, I gave it a try to see if it will resolve this issue. 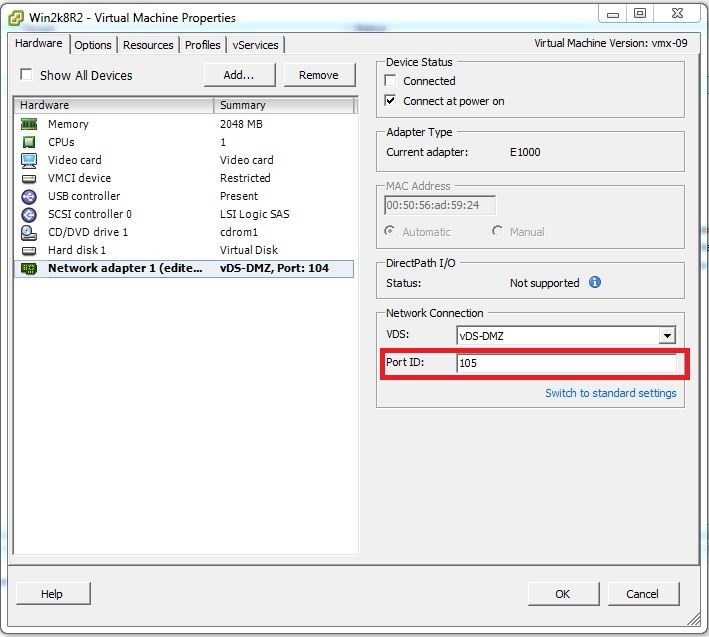 I did Option 1 of the KB article which is to move the VM into a different and unused dVPort. 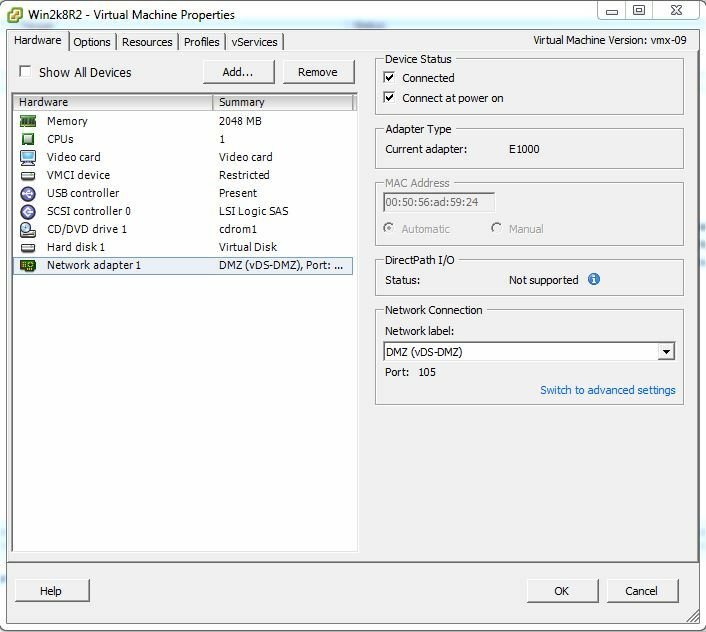 From the screenshot below, my VM Win2K8R2 is using port 104 of distributed switch vDS-DMZ. Click OK then go back to Edit Settings and connect the NIC card. This resolved my issue and the VM is back into the network. 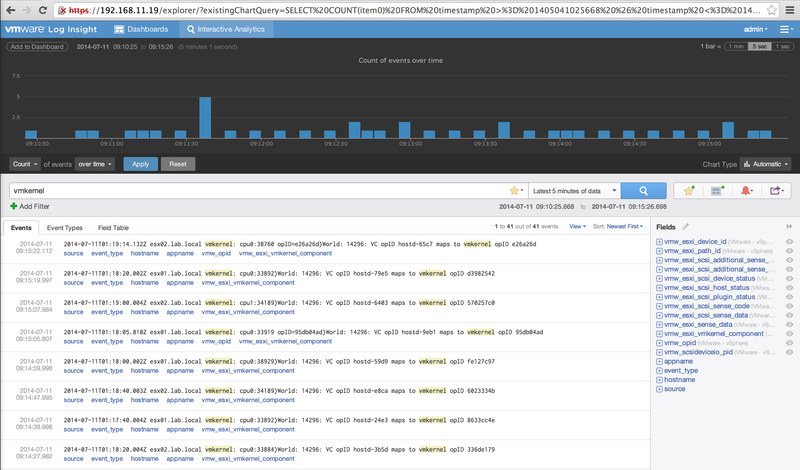 Im loving Log Insight!!! Ever since I’ve installed this product in my lab, there is virtually no need to go over logging to each ESXi host and go through important log files like vmkernel.log, hostd.log, vpxa.log. For me, gone are the days where you have to go over these logs, using linux tools and commands to peak over log files when troubleshooting an issue. Its so easy to do query in the Interactive Analysis page of Log Insight and it presents it to you in a graphical manner. Filtering for keywords is a breeze. The builtin vSphere Contect Pack will surely get you started pretty fast as it contains all the important queries in your vSphere environment. See below screenshot. 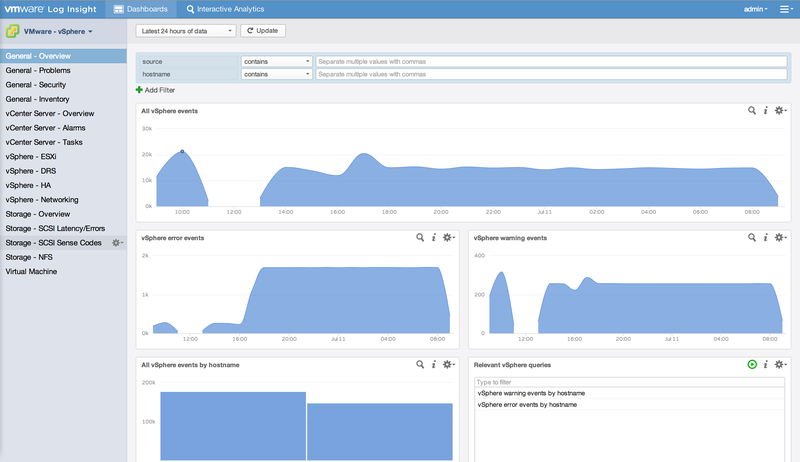 With the release of Log Insight 2.0, a Log Insight Windows agent has been included that allows collection of Windows events and log files from a Windows machine and forwards them into Log Insight. There is also a Content Pack for Windows where the important queries for Windows events are pre-created. 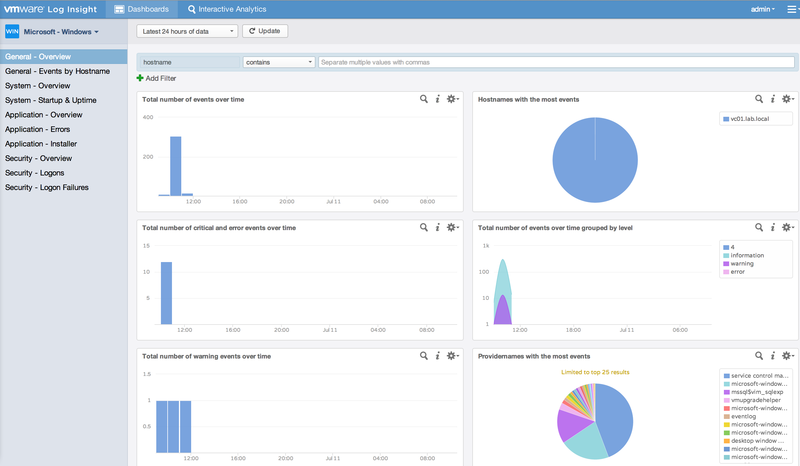 More information about the Log Insight Windows agent can be found here. 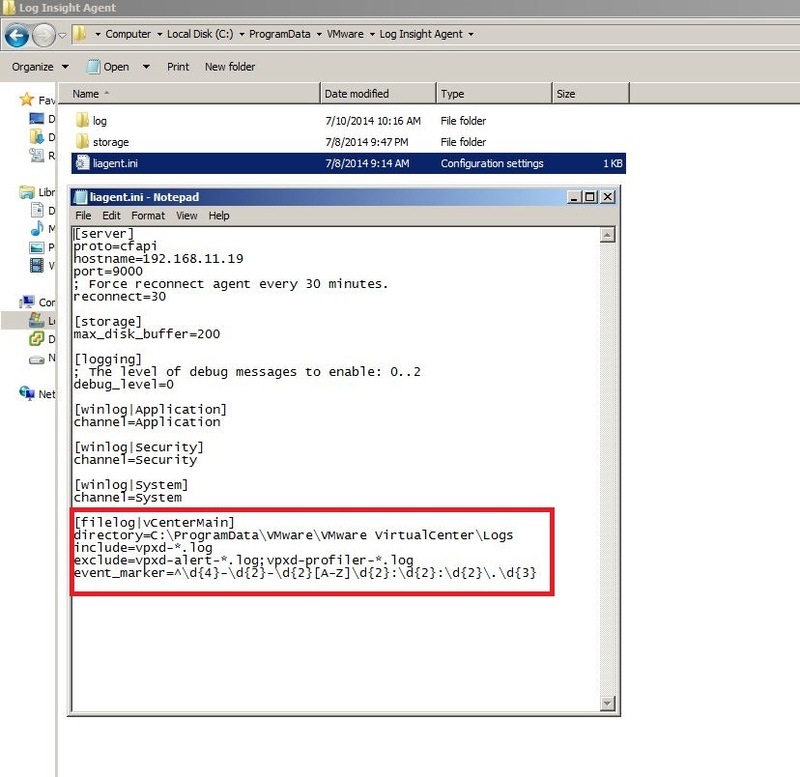 Back to the subject of this post 🙂 So now with the Windows agent included, how do we forward the vpxd.log file into Log Insight. Easy! 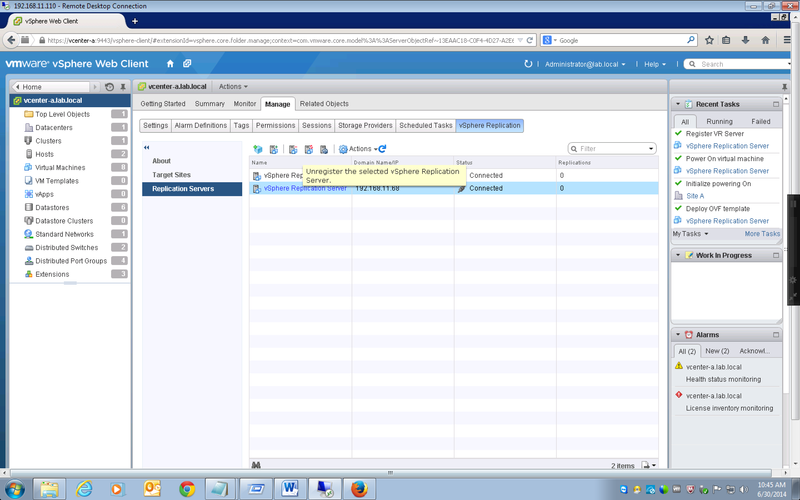 Just install the Log Insight agent into your Windows vCenter Server and edit the liagent.ini file. Add the highlighted lines from the screenshot below. Restart the Log Insight service and you are good to go! For those interested or are using in Log Insight, I highly recommend following Steve Flanders blog at http://sflanders.net/. I’ve been constantly reading his excellent posts about Log Insight ever since I started using this product. 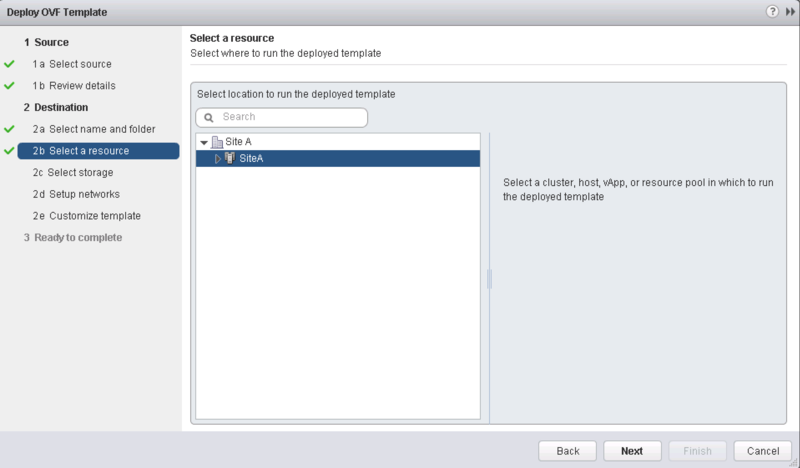 In this article, I’ll show how easy it is to deploy an additional vSphere Replication Appliance. 1. 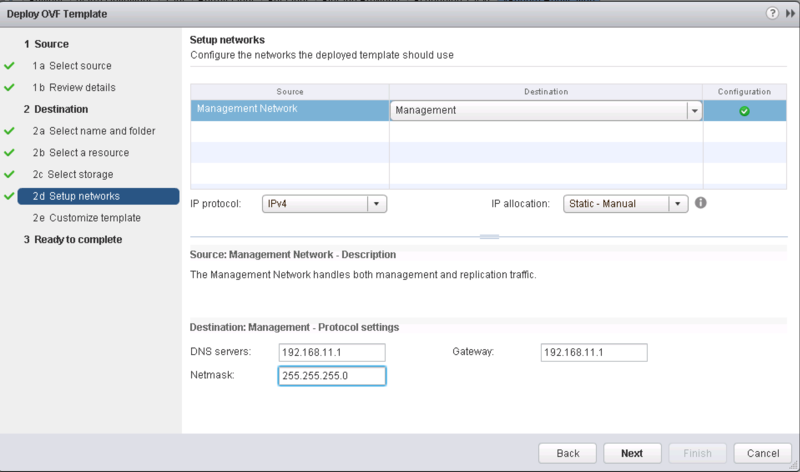 In the web client, go to Manage–> vSphere Replication–> Replication Servers. 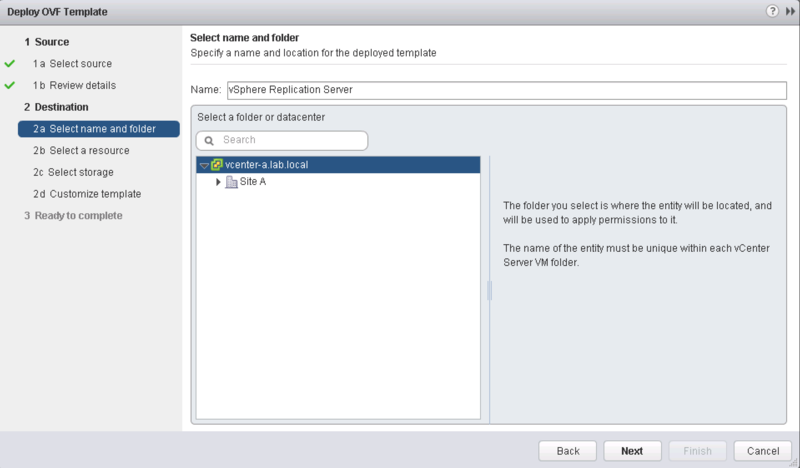 Click on the OVF deployment icon to deploy the VRS ovf. 2. 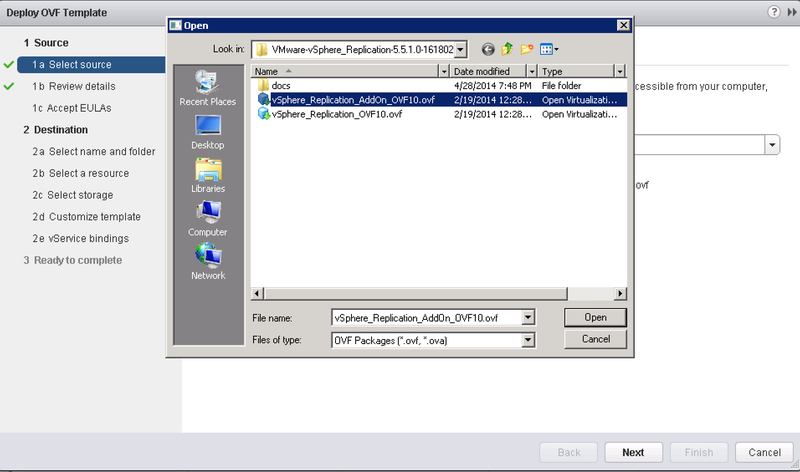 The file to select is vSphere_Replication_Addon_OVF10.ovf. This OVF is only 512MB in RAM, all other resources (CPU, disk) is the same as the vSphere Replication appliance OVF. 3. Review the OVF details and click Next. 9. Click Finish to start the OVF deployment. 1. 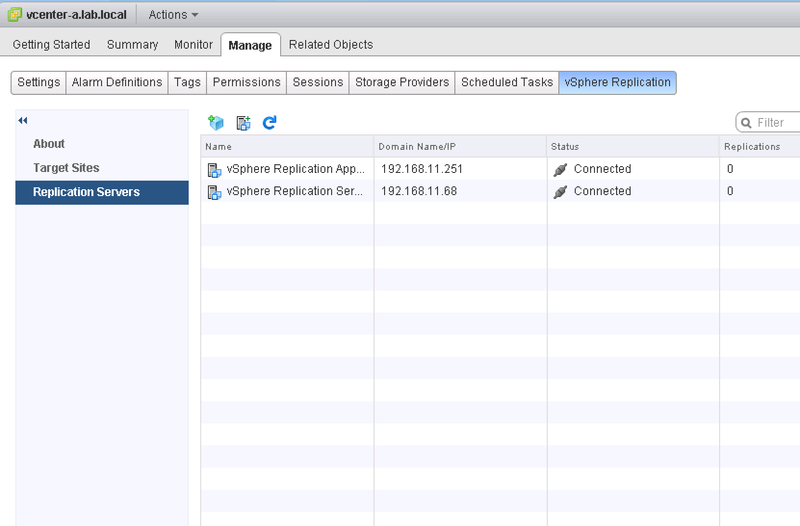 In the web client, go to Manage–> vSphere Replication–> Replication Servers. 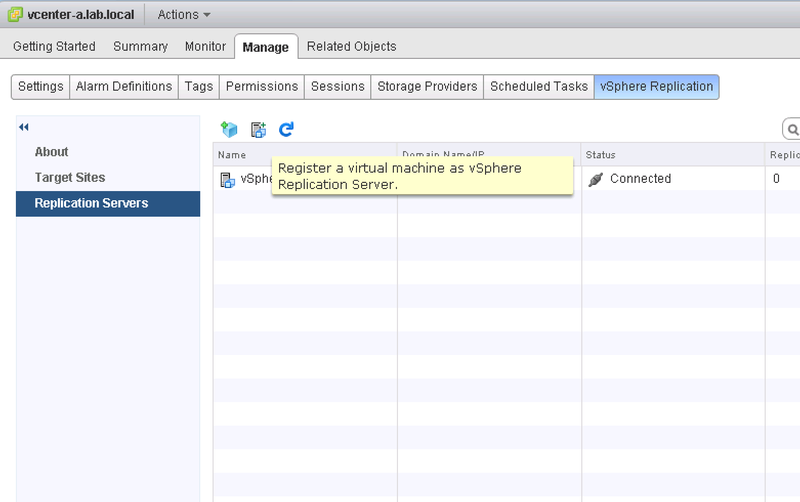 Click the middle icon (Register a virtual machine as vSphere Replication Server) and select the newly deployed VRS. If you decided you don’t need the additional VRS, you need to unregister the VRS before removing/deleting it. That’s it. Never gets easier than that..
SRA command ‘discoverDevices’ failed. No replicated devices could be found. Please verify the correct array managers and array pairs are configured. The workaround is to create a new replicated LUN but DO NOT put it in any consistency group. I got this workaround from this post. Tried it and SRM was able to discover the replicated LUN’s. 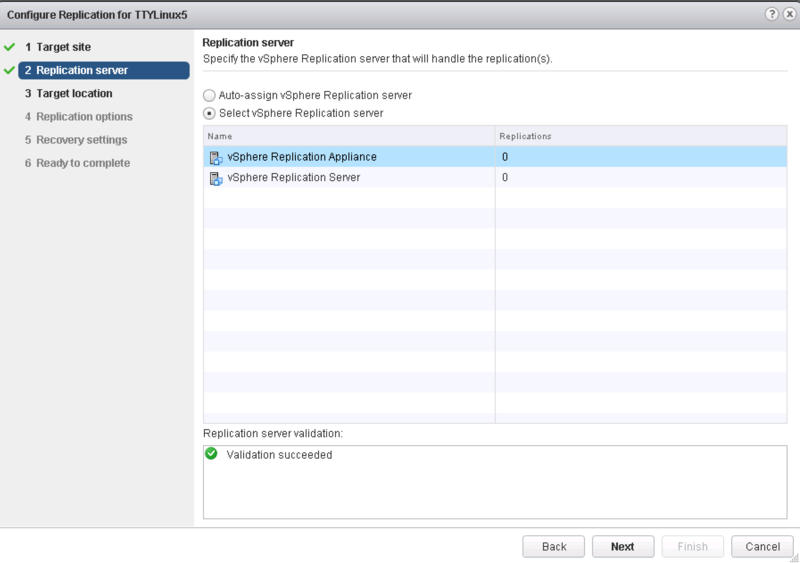 The configuration for vSphere Replication all looks good, all are green so I can’t figure out what’s wrong here. The number  may change depending on the environment. On mine its . After making the change and rebooting the ESXi hosts, vSphere Replication started working fine again. 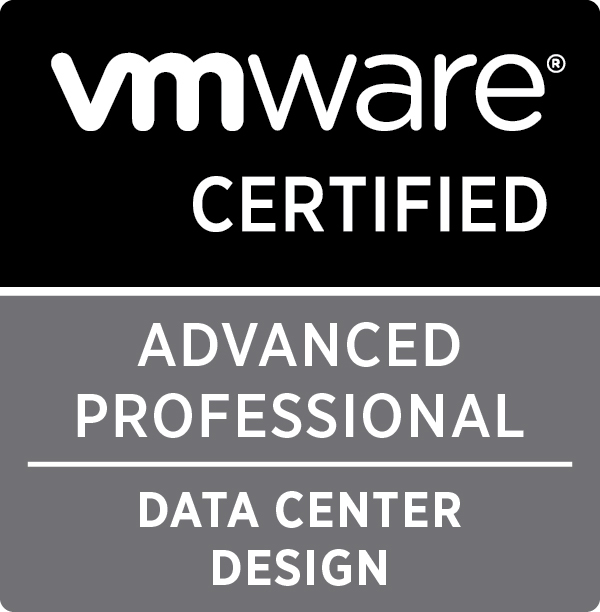 “After the vCenter Server environment is upgraded, the Single Sign-On component requires the SSL certificate for the VMware Directory Service to be re-issued and the administrator@vsphere.local password to be changed. 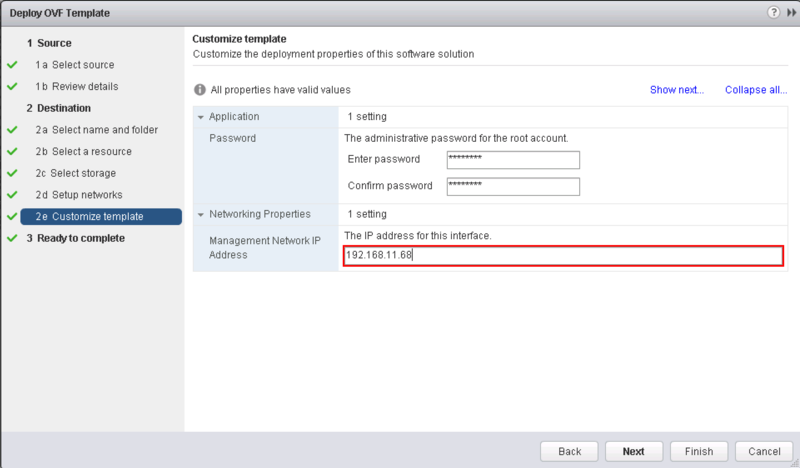 Any other vsphere.local users that have been defined will also require their passwords to be changed. So how do we perform this if vCenter Heartbeat is protecting your vCenter Server? In my past articles regarding vCenter Server upgrade, I documented the steps from KB 207181, the steps which i called a re-clone method. I believe that using this method is the easiest way to upgrade your vCenter Server and remediate for the heartbleed bug. You just have to add the remediation steps for Heartbleed (re-issue the certificate and update the administrator@vsphere.local password) after Step 6 under Upgrading the Primary Node of KB 207181. 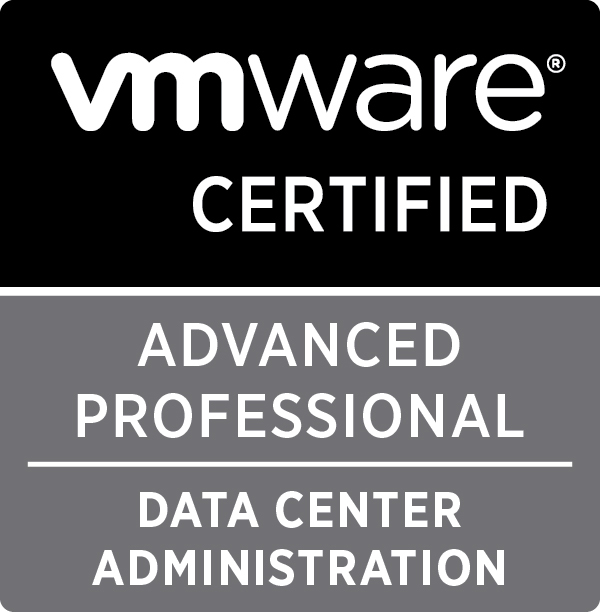 Just make sure you are using the vCenter Server’s public FQDN and IP address when generating a new certificate. I’m currently spending most of my lab time honing my SRM skills preparing for my next project. The past few days I have upgraded my lab to SRM 5.5.1 using a NetApp storage simulator and NetApp SRA 2.1. All works good so far with array based replication. So I decided to try using vSphere Replication. 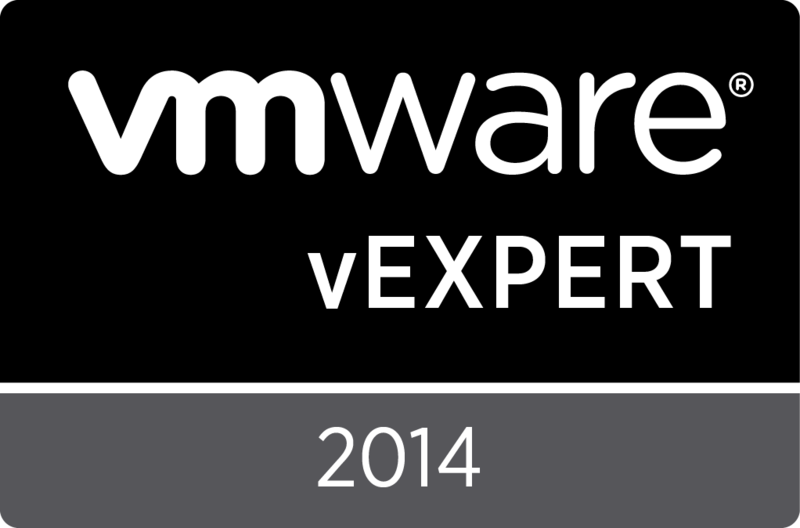 However I am encountering issues after deploying the vSphere Replication appliance. It will deploy fine but its not taking the IP address that I set (reverts to DHCP). When I login to the management webpage https://ip-address:5480, it gives me the message “Failed to Initialize“. I tried redeploying the appliance a couple of times but still encounters the same issue. 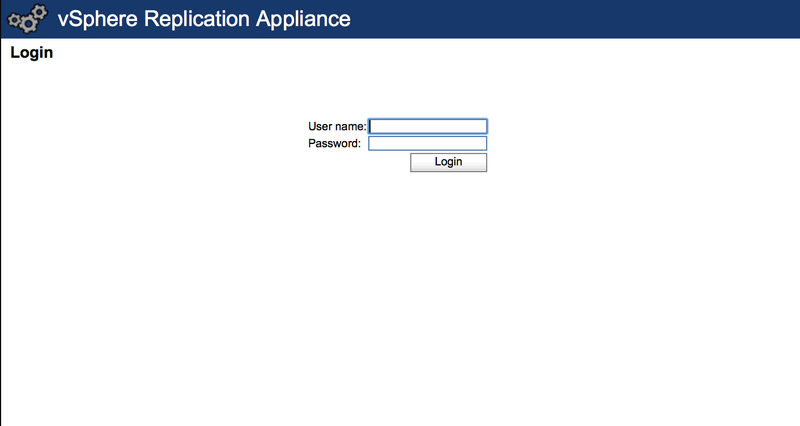 Then I realized I have been deploying the appliance using the vSphere Client. So I tried deploying it using the Web Client, and after deployment and poweron of the appliance, I don’t see the error anymore and I was able to login and configure the appliance.